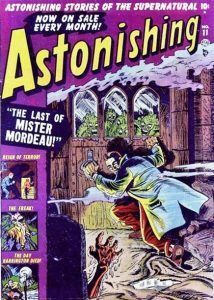 One of the greatest figures in the history of comic books and American pop culture in general, Stan Lee (Dec 28, 1922 – Nov. 12, 2018) re-popularized the superhero comic genre in the early 1960’s when Marvel Comics released THE FANTASTIC FOUR (Nov. 1961) followed up quickly by THE AMAZING SPIDER-MAN, IRON-MAN, THE HULK, THOR and countless others. But many people are not aware that Mr. Lee was inventing superheroes many years before Marvel’s silver age. 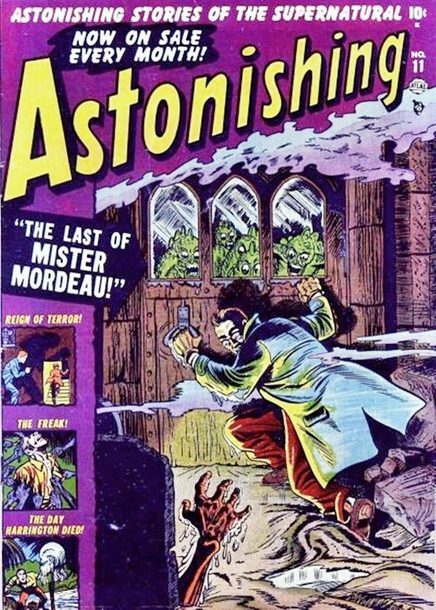 Timely/Atlas/Marvel Comics in the 1940’s saw Stan Lee Lee’s first superhero co-creating The Destroyer in Mystic Comics #6 (August 1941) and supplying “text filler” for Captain America comics around the same time. 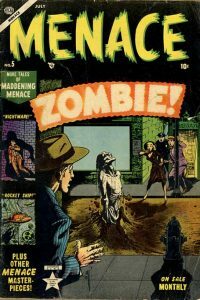 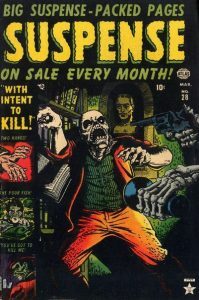 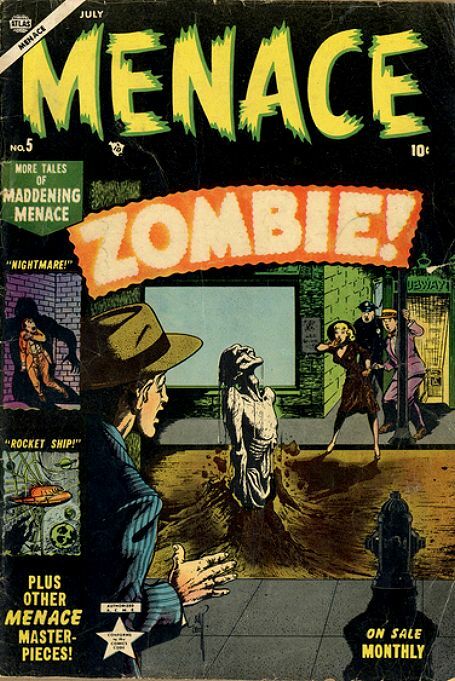 But it was in the late 1940’s after the end of WW2 when superheroes were not selling as well as they once did, so Timely/Atlas publisher Martin Goodman and upcoming editor-in-chief Stan Lee quickly jumped into more crime, horror and science fiction comics to satisfy a new generation of readers. 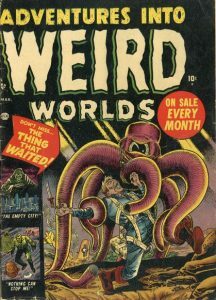 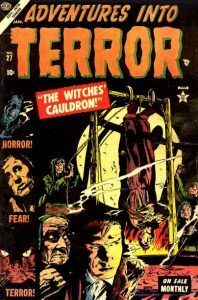 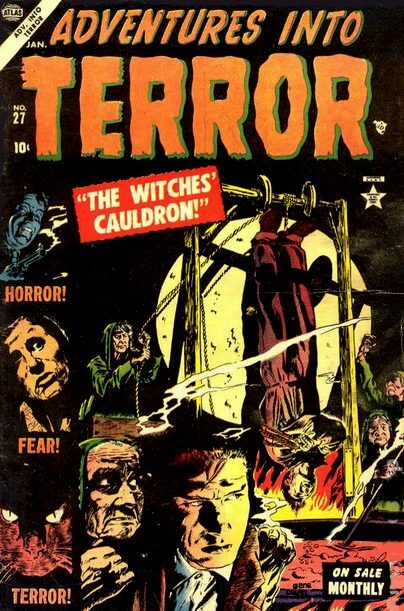 Months before EC Comics hit the stands, Atlas/Marvel was publishing titles such as MARVEL TALES, ASTONISHING, SUSPENSE, SPELLBOUND and many others, some of them lasting through the pre-code era into the late 1950’s/60’s. 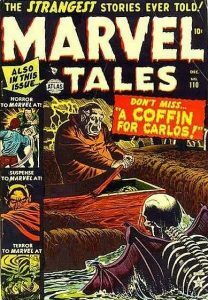 Stan Lee knew talent when he saw it, and so it’s no surprise that he gathered some of the best names in the business along with some young up and coming talent including artists Russ Heath, John Buscema, King Ward, Joe Sinnott, Gene Colan, Victor Carrabotta, Joe Maneely, George Tuska, Bill Everett, Syd Shores and countless others. 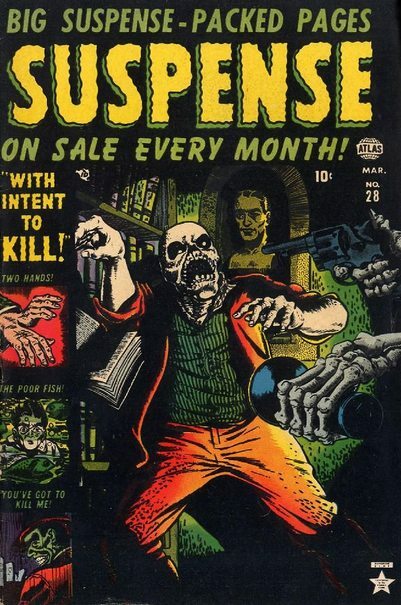 Here we present many memorable covers to these Atlas pre-code horror comic books for your viewing pleasure and you can also watch the Stan Lee Pre-Code Comics video. 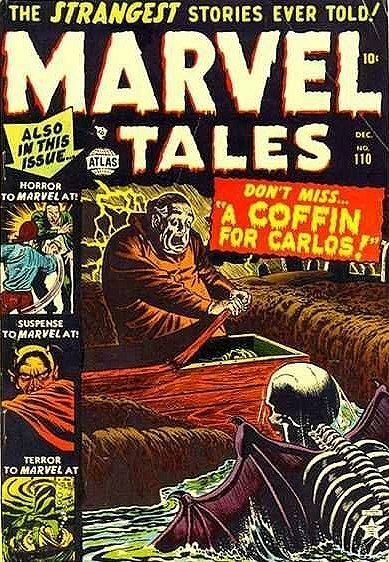 Great little tribute to Stan Lee, I never realized he did all those pre-code horror comics before the super hero comics!